When it comes to the holidays, weekends book up fast with cocktail gatherings, office parties and kids' events. An impromptu get-together can make for a refreshing change of pace for the winter season. Even if you have simply procrastinated, it's okay. Follow these simple tips to get your home 'holiday ready' within a few days' time! Invite guests electronically. Time is of the essence, so going the digital route will save you the delay of snail mail and the cost of invitations and stamps. An invitation from a service such as Evite or Paperless Post reaches guests instantly and makes RSVPs much easier on short notice. With all the hip designs available, you'll have no trouble finding one that suits your personal style and event. Clear the clutter. Get rid of mail and bills that may be lying around your drop zone areas. File important papers away and ditch the catalogs that may have piled up in kitchen and desktop areas. You won't want any of these personal items getting in the way of the flurry of kitchen activity. This is also a perfect time to wipe down countertops, backsplashes and appliances. Liven up libations. 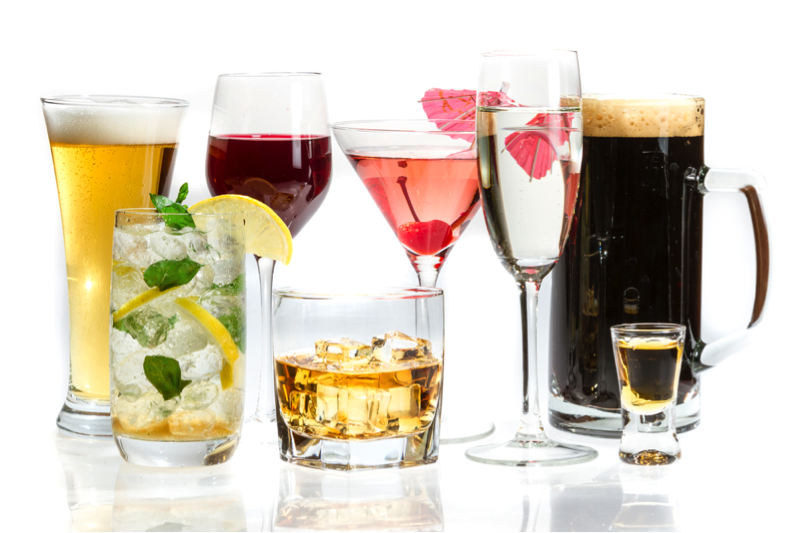 Replenish your bar basics such as gin, vodka and scotch, and layer on a supply of beer, wine and sodas. Don't forget mixers, lemons and limes and other staples such as olives and tonic. Prepping these items, such as lime wedges and lemon twists, just before your event will ensure a festive effortless evening. If you would rather streamline the offering, a signature cocktail for your event is always well received. Make room in the fridge. Make plenty of space for a turkey or a tray of hors d'oeuvres. Toss out expired food, clean out storage containers and polish off the splash of milk at the bottom of the carton. Give the fridge shelves a good wipe down, too. This one preparation activity can truly assist with the chaos of the kitchen, specifically. Attack appliances. Wiping down the interior of that forgotten microwave is a given. Running a clean cycle on the oven and dishwasher may not be as obvious—it can be embarrassing to you and guests to open a food-splattered oven when trying to warm foods. Also, wipe down the drain areas and run the garbage disposal to ensure it is in good working order. Decide on furniture and seating arrangements. Play around with the furniture layout to find the best flow for your gathering space. If you are hosting a sit-down dinner, think through where to place guests—who should get to know each other better and who should possibly "hold court" at the head of the table? You could even make simple place cards if time permits. Keep food simple. Without a lot of time to plan, it can take a lot of pressure off to go with a streamlined menu that includes a mix of prepared and homemade dishes — for example, pick up a baked ham that's ready to serve and pair it with your favorite go-to salad or vegetable recipe. Make as many items ahead of time as you can while still keeping things as fresh as possible. 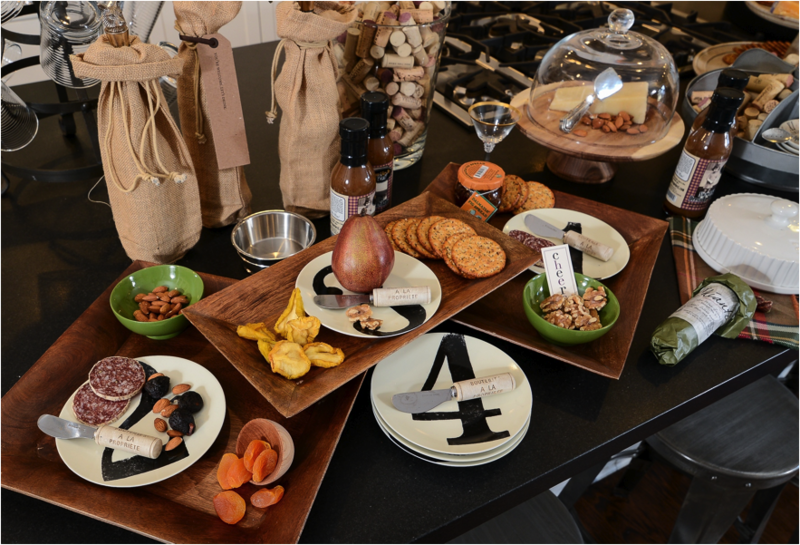 For a party, you could also focus on a simple theme, such as a brunch buffet or a hot chocolate bar. If you'd rather let your local market or gourmet shop do the cooking, many offer prepared meals with all the trimmings. Order early in the week to give them time to accommodate you and use your own tableware or serving-ware to give it a nice presentation. Prep the tableware. Pull out the good china, polish silver and press the linens. 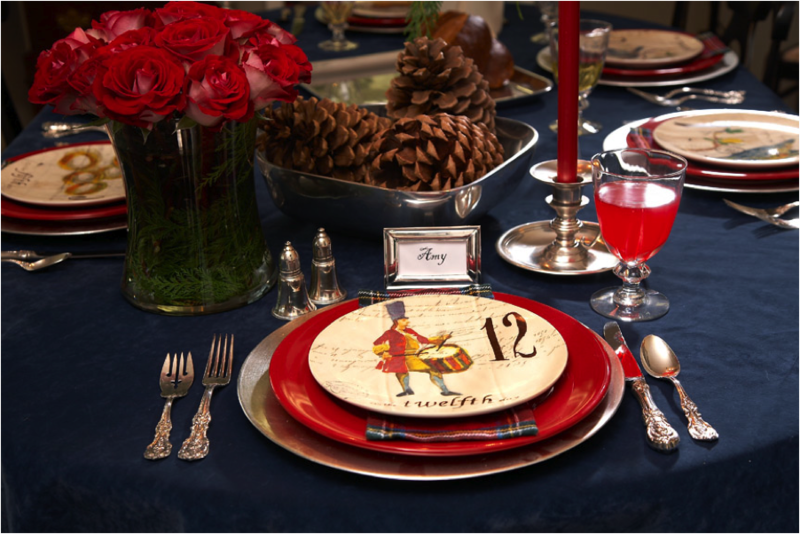 Make sure you have enough plates, glasses, flatware and serveware to suit the food you plan to offer. Don't hesitate to buy some inexpensive extras like festive napkins, straws and swizzle sticks, if necessary. You can set the table or arrange the buffet a day or two in advance, then drape a lightweight sheet over it to keep dust off until party time. Add in some flowers. A week should be plenty of time for a florist to create the arrangements you want. However, DIY-ers can play with loose blooms and vases to come up with their own custom creations from the garden, too. A simple arrangement of boughs and berries can provide a fresh scent and dramatic look. Make a holiday playlist. Use iTunes or Spotify to create a holiday collection that sets the mood. If you feel as though your musical taste has gotten a little lackluster, browse premade holiday playlists and download some new tunes to shake things up. This small detail can really set the tone for your soiree. 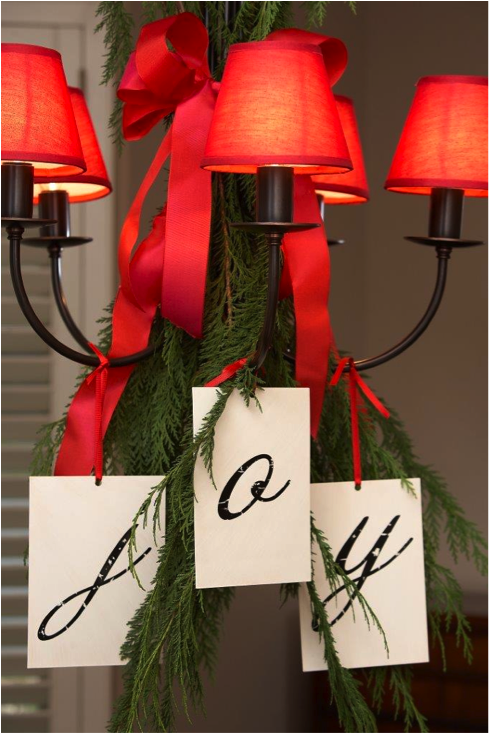 What other tips do you have for a quick prep of your home before a holiday party? Kerrie Kelly is an award-winning interior designer based in California who writes about kitchen décor for Home Depot. Kerrie seeks to inspire homeowners with her designs, and her planning tips for organizing your kitchen are just in time for the holidays. 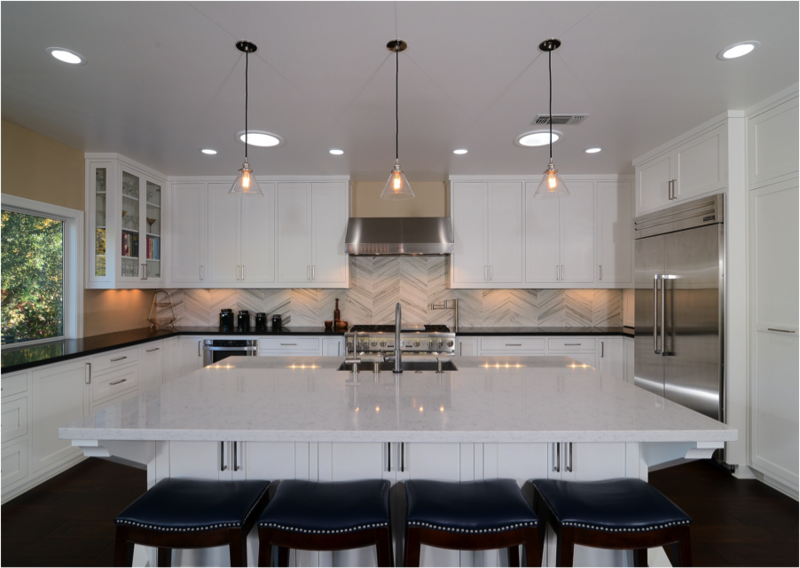 A wide variety of other kitchen design ideas can be found on Home Depot's website.